Millennial financial expert, Amanda Abella, shares five must-read books for every millennial business oner. 1. 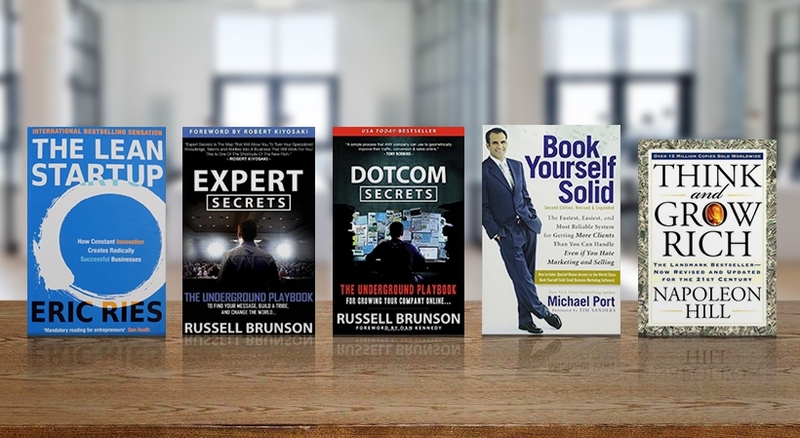 "Book Yourself Solid" by Michael Port. -- this book has everything you need to know about sales, and teaches you the proper steps and execution in a sales funnel. Click the link below for the rest of these engaging books! "The Lean Startup" by Eric Ries is always an essential. I'll be making room on my bookshelf for his new book, "The Startup Way," coming out in October.